Step into a world of imagination where the impossible is possible! Watch as drawings come to life, pictures leap off the page from popular children’s books, and toys misbehave with hilarious surprises. The show features magic, comedy, music, and tons of audience participation! 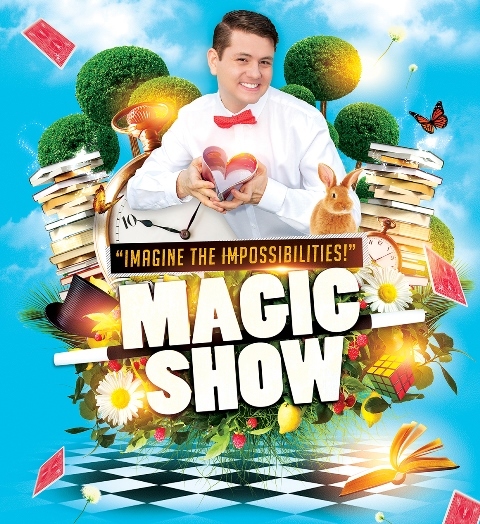 This action-packed magic show is free and open to the whole community. Partnership presentation with Smithers Public Library, the Northwest Library Federation, and SD54. 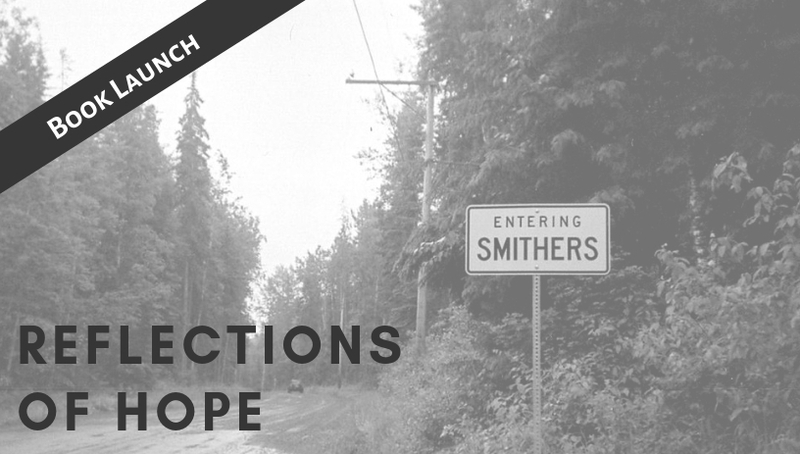 Join us on Monday, May 13th to celebrate the launch of Reflections of Hope, a book of photography published by Positive Living North. The purpose of this project was to foster inclusion and create space for discussions on what it means to belong, as well as to provide an opportunity for individuals to express themselves artistically. This event is sponsored by Wetzin’kwa Community Forest Corporation. 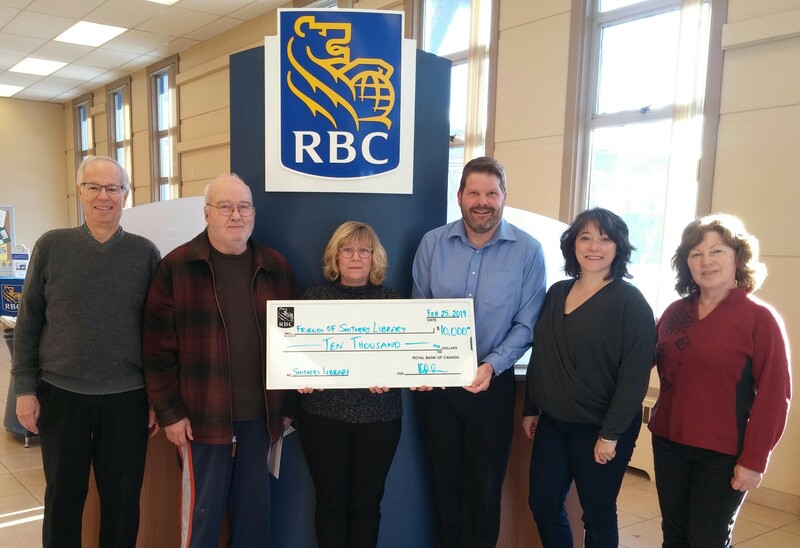 In April 2019, Pacific Northern Gas (PNG) joined the growing list of generous donors who have stepped up to support the Smithers Library-Gallery Project with a generous donation of $5000. The project has received more than half of the $1 million in community contributions it targeted this past year. The fundraising committee thanks the many generous donors who stepped up in this first phase (for details, read the Feb 28, 2019 press release). 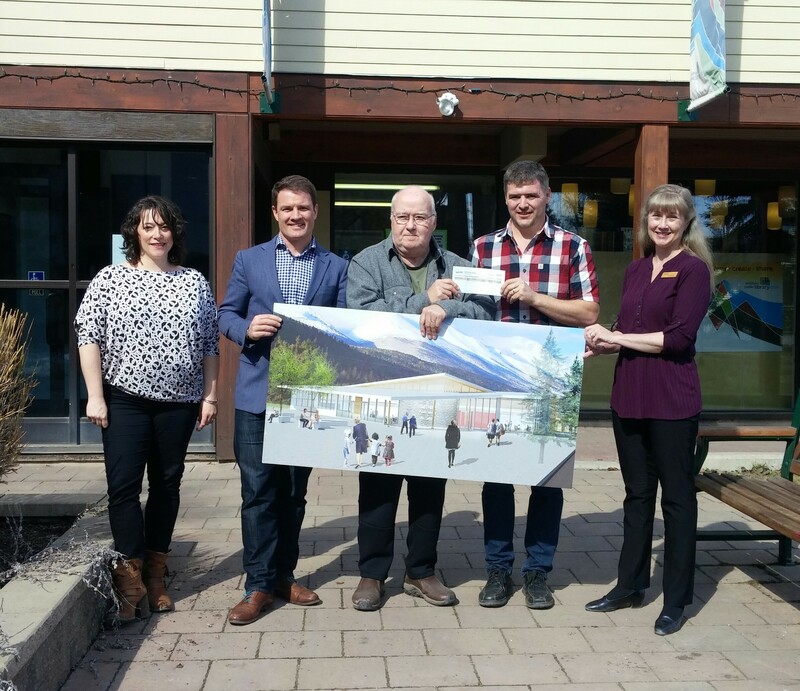 In the coming months, there will be an opportunity for the wider community to make donations to this project and help build a lasting legacy for Bulkley Valley residents to enjoy for generations to come. Fleetwood Shuttleworth, mistress of Gawthorpe Hall, is with child. Anxious to provide her husband with an heir, she discovers a hidden letter from her physician that warns she will not survive this pregnancy. Distraught, Fleetwood wanders the grounds, where she meets a local midwife named Alice, who promises she can deliver the baby. But Alice soon stands accused of witchcraft. Can Fleetwood trust that Alice is really who she says she is? "In a little village north of Montreal, a reclusive old woman is found strangled and frozen outside her home. Roméo LeBlanc, the enigmatic Chief Inspector for Homicide, is one day away from his first vacation in years, and reluctantly answers the call on the case. Roméo suspects a local biker gang is involved in what appears to be a robbery gone awry--or was the old woman a victim of a violent hate crime?" -- Provided by publisher. Hella Mauzer was the first ever woman Inspector in the Helsinki Homicide Unit. But her superiors deemed her too 'emotional' for the job and had her reassigned. Now, two years later, she is working in Lapland for the Ivalo police department under Chief Inspector Jarvi, a man more interested in criminal statistics and his social life than police work. They receive a letter from Irja Waltari, a priest's wife from the village of Kaarmela on the Soviet border, informing them of the disappearance of Erno Jokinen, a local. Hella jumps at the chance to investigate. Jarvi does not think that a crime is involved. After all, people disappear all the time in the snows of Finland. When she arrives, Hella stays the village priest and his wife, who have taken in Erno's grandson who refuses to tell anyone his grandfather's secret. A body is then discovered in the forest and she realizes that she was right; a crime has been committed. A murder. But what Hella doesn't know, is that the small village of Kaarmela is harbouring another crime, a crime so evil, it is beyond anything any of them could have ever imagined. In the winter of 1662, Elizabeth Stuart, the Winter Queen, is on her deathbed. She entrusts an ancient pearl, rumored to have magic power, to her faithful cavalier William Craven for safekeeping. In his grief, William orders the construction of Ashdown Estate in her memory and places the pearl at its center. One hundred and fifty years later, notorious courtesan Lavinia Flyte hears the maids at Ashdown House whisper of a hidden treasure, and bears witness as her protector Lord Evershot--desperate to find it--burns the building to the ground. Now, a battered mirror and the diary of a Regency courtesan are the only clues Holly Ansell has to finding her brother, who has gone missing researching the mystery of Elizabeth Stuart and her alleged affair with Lord Craven. As she retraces his footsteps, Holly's quest will soon reveal the truth about Lavinia and compel her to confront the stunning revelation about the legacy of the Winter Queen. -- Publisher description. "Now, in the conclusion to this powerful trilogy, Moscow has been struck by disaster. Its people are searching for answers--and someone to blame. Vasya finds herself alone, beset on all sides. The Grand Prince is in a rage, choosing allies that will lead him on a path to war and ruin. A wicked demon returns, stronger than ever, determined to spread chaos. Caught at the center of this conflict is Vasya, who finds the fate of both worlds resting on her shoulders. With her destiny uncertain, Vasya must uncover surprising truths about herself and her history as she desperately tries to save Russia, Morozko, and the magical world she treasures. But she may not be able to save them all"-- Provided by publisher. Still coping with the events that led to his suspension, Armand Gamache is curious when he discovers that an elderly woman who was a complete stranger to him has named him as one of the executors of her will. Gamache soon learns that the other two executors are Myrna Landers, the bookseller from Three Pines, and a young builder. None of them had ever met the elderly woman. The will is so odd and includes bequests that are so wildly unlikely that Gamache and the others suspect the woman must have been delusional. But when a body is found, the terms of the bizarre will suddenly seem less peculiar and far more menacing. Ten years ago, representatives from an interstellar collective of 314 alien species landed on Earth, inviting us to become number 315. Undercover with a gang of anti-alien extremists, Detective Aaron Stein stumbles upon evidence of a plot to assassinate a controversial trade envoy with a cache of stolen ray guns. Now the Chicago PD must stop these nutjobs before they piss off the entire universe. "From a beloved author, a spare, powerful story of two men, Western contractors sent to work far from home, tasked with paving a road to the capital in a dangerous and largely lawless country. Four and Five are partners, working for the same company, sent without passports to a nation recovering from ten years of civil war. Together, operating under pseudonyms and anonymous to potential kidnappers, they are given a new machine, the RS-90, and tasked with building a highway that connects the country's far-flung villages with the capital. Four, nicknamed "the Clock," is one of the highway's most experienced operators, never falling short of his assigned schedule. He drives the RS-90, stopping only to sleep and eat the food provided by the company. But Five is an agent of chaos: speeding ahead on his vehicle, chatting and joking with locals, eating at nearby bars and roadside food stands, he threatens the schedule, breaks protocol, and endangers the work that they must complete in time for a planned government parade. His every action draws Four's ire, but when illness, corruption, and theft compromise their high-stakes mission, Four and Five discover danger far greater than anything they could pose to one another." -- Provided by publisher. Douglas Island sits off the coast of New York State. Finn Douglas has big plans for his inheritance. But when the broken body of his business partner is found at the base of the rocky escarpment, special Agent Craig Frasier agrees to help his cousin Finn by investigating. Something evil seems to be lurking in the caverns that run beneath the stony ground. Is there something on the island that someone is willing to kill to protect? "The pope is dead. A conclave to select his replacement is about to begin. Cardinals are beginning to arrive at the Vatican, but one has fled Rome for Malta in search of a document that dates back to the 4th century and Constantine the Great.Former Justice Department operative, Cotton Malone, is at Lake Como, Italy, on the trail of legendary letters between Winston Churchill and Benito Mussolini that disappeared in 1945 and could re-write history. But someone else seems to be after the same letters and, when Malone obtains then loses them, he’s plunged into a hunt that draws the attention of the legendary Knights of Malta.The knights have existed for over nine hundred years, the only warrior-monks to survive into modern times. Now they are a global humanitarian organization, but within their ranks lurks trouble ― the Secreti― an ancient sect intent on affecting the coming papal conclave. With the help of Magellan Billet agent Luke Daniels, Malone races the rogue cardinal, the knights, the Secreti, and the clock to find what has been lost for centuries. The final confrontation culminates behind the walls of the Vatican where the election of the next pope hangs in the balance." --Provided by the publisher. Virgil Flowers investigates a miracle...and a murder...in the wickedly entertaining new thriller from the master of pulse-pounding thrillers. Pinion, Minnesota: a huge city of all of seven hundred folks who define the phrase 'small town'. Nothing has ever happened in Pinion and nothing ever will...until the mayor of sorts (campaign promise: `I'll Do What I Can') comes up with a scheme to put Pinion on the map. He's heard of a place where a floating image of the Virgin Mary turned the whole town into a shrine, attracting thousands of curious people and making the townsfolk rich overnight. Why not stage a prank in Pinion and do the same? No one gets hurt and everyone gets rich. What could go wrong? And then a dead body shows up. It turns out that lots can go wrong with a get-rich-quick scheme like this one...and lots will. It'll take everything Virgil Flowers has to put things to right - before someone else dies.